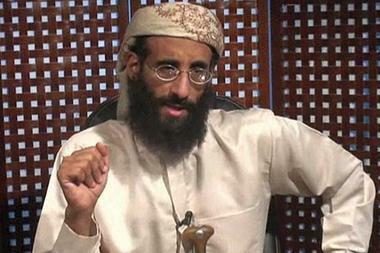 Radical cleric and U.S. citizen Anwar Al-Awlaki, seen here in a video posted on radical websites, was killed by a U.S. drone strike on Friday. As with bin Laden, Anwar Al-Awlaki exploited modern information technology to communicate with, coordinate, and inspire followers worldwide. Both of these super-empowered individuals provoked the wrath of a superpower and were recently killed by that state’s military efforts. Are these recent targeted killings a glimpse of the future of warfare in an age of globalization? Can they be justified in under international and U.S. law? What are the broader implications, both positive and negative, of the rise of super-empowered individuals? Two troubling pieces of news today highlight America’s frayed relationship with Pakistan and add to the growing questions about whether Pakistan can truly be viewed as America’s ally in the Global War on Terror. If there is any good news from the American perspective from this poll, it is that only 12% of the public has a favorable view of Al Qaeda and the Taliban. 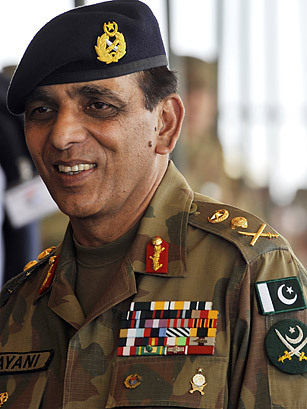 The fact that the military is the most popular institution in Pakistan highlights the powerful role played by the military in Pakistani politics (recall that it was only in 2008 that General Pervez Musharraf, who seized power in a coup in 1999, relinquished control to civilian authorities). In a democracy, which Pakistan aspires to be, elected civilian officials must control the military, but Pakistan has little tradition of civilian control. You can view the full poll here. This news comes on the heels of a string of troubling reports, from Pakistan’s arrest of five informants who helped the CIA locate Bin Laden, to a rumor that Pakistan has “lost the the paperwork that would explain how a compound was bought and built in Abbotabad to house Osama Bin Laden for over five years,” to the apparent “tipping off” of Pakistani militants that U.S. raids were coming. The latter disclosure “prompted senior members of Congress on Sunday to accuse Pakistan of playing a double game by aiding the United States on some counterterrorism operations while also maintaining ties to violent, extremist organizations operating from its territory.” As a result of this “double game,” the most serious (though often unstated) concern of many U.S. officials is the security of Pakistan’s nuclear arsenal. What do you think? Can Pakistan legitimately be called an ally or partner of the U.S. in the War on Terror? Should the U.S. stop giving $2 billion in aid annually to a government that doesn’t have our best interests at heart, or is this fragile “partnership” actually much better than the alternative, as many experts believe? Does Bin Laden’s Death Vindicate Bush-Era Harsh Interrogation Techniques? Opponents of Bush-era interrogation practices immediately fired back, contending there is little evidence that torture led to bin Laden, and pointing to the lengthy gap between the use of these techniques and the successful raid on bin Laden’s compound. Adam Serwer of the Plum Line argues along these lines: “The pro-torture argument ignores the obvious — that if torture was so effective, bin Laden would have been dead long ago. Bin Laden was found through years of painstaking intelligence gathering, not through the barbarous methods supported by many Bush apologists.” Former interrogator Matthew Alexander joins many critics (including Senator John McCain) in arguing that torture is not only immoral but practically it does more harm than good: it prompts detainees to fabricate information to stop the pain, it puts U.S. soldiers at risk, it harms America’s image overseas, and it serves as a potent recruiting tool for America’s enemies, including Al Qaeda. Should these facts prompt President Obama to reconsider his rejection of his predecessor’s interrogation policies? Is Obama putting America at risk by leaving a potentially important tool in the War on Terror in the toolbox? Or does the use of this tool actually harm America’s interests, undermine its values, and make us more like our enemies? Perhaps not surprisingly, the blogosphere has been dominated by discussion of the killing of Osama bin Laden by US special forces operating in Pakistan. While the mission itself was clouded in secrecy, perhaps the most detailed description was offered by Marc Ambinder at the National Journal. But as several bloggers have been quick to point out, Beinart’s assertion may be a bit premature. As Daniel Drezner points out, bin Laden’s role in al Qaeda had been minimized. Although he continued to serve as its figurehead leader, bin Laden had little role in the organization’s operational side. Al Qaeda itself had long been fractured into separate commands, each operating essentially as franchises of the larger organization. Operations in Yemen, Sudan, Afghanistan, Pakistan, and elsewhere will therefore not be affected by bin Laden’s death. The real question that bin Laden’s death does raise, however, centers on US-Pakistan relations. 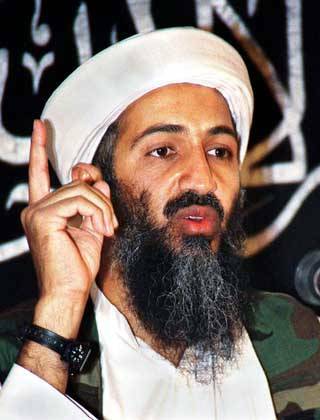 A number of bloggers, including David Rothkopf, Julian Borger, and Stephen Walt all note that given bin Laden’s location it is improbable in the least to think that he was not receiving support from elements within the Pakistani government. What this means for the future of US-Pakistani relations remains unclear. The United States, however, continues to need Pakistan’s assistance in the war on terror. Al Qaeda may not be the threat it once was, but terrorists nevertheless continue to be key actors on the global stage. A suicide bomb attack in Iran killed several senior commanders of the country’s elite Revolutionary Guard and at least twenty tribal leaders in the southeastern province of Sistan-Baluchestan, which borders Pakistan and Afghanistan. The bombing was the first major terrorist attack in Iran in more than twenty years, and represents a major public relations blow for the Iranian government. A group known as Jundallah claimed responsibility for the attack, though the Iranian government has also attempted to place blame on the British government for the attack, claiming that Britain has an “overt and hidden hand in terrorist attack against Iran.” Juddallah is a Pakistan-based radical Sunni group campaigning for independence for ethnic Baluchis in Iran. 1. The United Nations-backed panel investigating elections in Afghanistan appears poised to overturn August election results. The panel is recommending that a number of suspicious ballots be thrown out, thus necessitating a runoff election between incumbent president Hamid Karzai and his rival, Abdullah Abdullah. The United States is attempting to resolve the growing political crisis, which threatens to complicate President Barack Obama’s decision on whether or not to expand the U.S. troop presence in the country. 3. The Pakistani government launched a new offensive against Taliban strongholds in the South Waziristan region. The new offensive comes after two weeks in which the Taliban had engaged in a series of attacks against the Pakistani government and military. The Pakistani government believes that the Taliban may have as many as 10,000 militant fighters assembled in the region, which is also believed to be the hiding location for Osama bin Laden. 4. In a dramatic regional contrast, citizens in Botswana are expected to hand the government if Ian Khama a victory in Friday’s elections, while the government of neighboring Zimbabwe is struggling to address the continuing political instability there. Botswana is widely viewed as a success story in Southern Africa, due in part to its political stability and part to its vast diamond wealth. But as global diamond prices fall, the economy of Botswana may begin to struggle. The government faces a severe budget shortfall, due primarily to a dramatic decline in diamond prices, necessitating a $1.5 billion loan from the African Development Bank. Meanwhile, in Zimbabwe, Prime Minister Morgan Tsvangirai threatened to “disengage” from working with President Robert Mugabe. The two have been part of a power sharing arrangement since Febraury, but Tsvangarai’s party, the Movement for Democratic Change, has been marginalized from real political power. 5. The United States budget deficit has reached a record level of $1.4 trillion for the last fiscal year, as the government expanded spending significantly in order to address the global economic downturn. The deficit was approximately 10 percent of gross domestic product, but was $162 billion less than the administration forecast in August. Tax revenue fell by more than 16 percent as a result of the economic downturn, but spending increased by more than 18 percent. It was a busy week for the Obama administration, as the president made the rounds. On Wednesday, President Obama met with King Abudllah of Saudi Arabia to discuss the “strategic relationship” between the two countries. On Thursday, the President followed up on a campaign promise, delivering a major foreign policy speech in Cairo, Egypt, where he outlined his vision for Middle East peace. In typical Obama fashion, the speech was balanced and generally well-received. (The video footage of the speech is available on the White House blog). In the speech, he reiterated U.S. support for a two-state solution to the Israel-Palestine dispute, called on Israel to cease all settlement expansion in the West Bank, and called on Palestinians to renounce the use of violence. Demonstrating a cultural and technical sophistication, the White House ensured the speech was simultaneously available through Facebook and other social networking sites in English, Arabic, Urdu, and Turkish. On Friday, the President visited the Buchenwald Concentration Camp. And on Saturday, Obama participated in the 65th anniversary celebration of the D-Day landings before meeting with French President Nicolas Sarkozy to discuss Iran’s nuclear program. 1. A new audio tape was released by Osama bin Laden, denouncing Obama’s policies as a mere continuation of the previous administration and warning the United States to prepare for war. 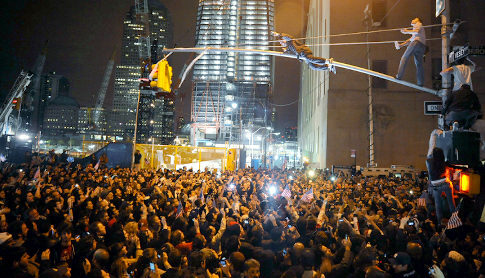 According to many analysts, the release of the audio tape signals a growing concern from al Qaeda about Obama’s policies. Al Qaeda fears that Obama may be successful in reaching out to moderate Arab states, weakening support for the brand of radical Islam preached by al Qaeda. 2. Elections for the European Parliament took place last week. Although results are still being tabulated, the low level of voter turnout is expected to benefit smaller fringe parties, particularly those on the far right. In the Netherlands, unofficial results indicate that the Party for Freedom will become the second-largest Dutch party in European Parliament, capturing 4 of the country’s 25 seats. The party campaigned on a platform opposing immigration and Turkish ascension to the E.U. In the United Kingdom, voters are expected to hand the ruling Labour party a stinging defeat, with a real possibility that the party may place third in European elections. Similarly, in Ireland, the ruling centrist Fianna Fáil is expected to place second behind its center-right rival Fine Gael. 3. The results of Iranian presidential election scheduled for Friday could hinge on…wait for it…the results of Saturday’s World Cup qualifier between Iran and North Korea. In order to qualify for next year’s World Cup finals in South Africa, Iran must win its three remaining matches: the first against North Korea on Saturday, then against the United Arab Emirates on Wednesday, and finally against South Korea on June 17. A loss either of the pre-election matches could produce a sharp backlash against President Mahmoud Ahmadi-Nejad, particularly among the 60 percent of Iran’s citizens under 30—a group already inclined to support his rival, Mir-Hossein Moussavi. 4. In a dramatic sign of just how bad the global economic downturn has become, the government of Botswana was forced to turn to the African Development Bank last week for a record $1.5 billion loan. Botswana has long been heralded as one of Africa’s strongest and best-managed economies. Its president, Ian Khama, has a reputation as a reformer and statesman. But even he has been humbled by the problems faced by the economy of Botswana, which depends on diamonds for 80 percent of its foreign exchange earnings and about 30 percent of its gross domestic product. And as the price of diamonds has collapsed, the country has found itself increasingly facing economic difficulties. 5. On Friday, clashes between police and indigenous Amazonian protestors in Peru claimed more than 30 lives. Peru’s President, Alan Garcia, urged calm, but both sides appear to be escalating a standoff which has been ongoing for two months. At issue are indigenous land right claims, which they feel the government has abrogated in order to attract more foreign investment. The G20 (which actually has 22 states attending this year) met this weekend in London. The ongoing economic crisis, of course, dominated discussions. The meeting produced a communiqué in which the states commit themselves to restoring financial growth and strengthening the global financial system. Discussions were dominated by several important divisions between the member states, particularly between the developed and developing countries (largely over reform of the International Monetary Fund) and between the United States and Europe (over the urgency and scope of economic stimulus efforts). In the end, the only real, concrete policy initiative was the agreement to enlarge the membership of the Financial Stability Forum to include all G20 members. Created in the aftermath of the 1997 Asian Financial Crisis, the FSF monitors the global financial system and coordinates policies between the international financial institutions. 1. On Friday, Chinese Premier Wen Jiabao expressed concern over the mounting U.S. deficit and the future stability of the U.S. economy. The Chinese government currently holds an estimated 70 percent of its $2 trillion foreign exchange reserve in dollar-denominated assets and is the single-largest buyer of U.S. Treasury Bills. A decline in the value of the U.S. dollar therefore threatens China’s massive reserves. But while the Premier is pressuring the U.S. to ensure the stability of its currency, Luo Ping, the director general of the Chinese Banking Regulatory Commission, reassured the U.S. government (and dollar markets more generally), that the investment in the dollar remains the “only option” for Chinese foreign reserve holdings. 3. The deepening political crisis in Pakistan continues. Over the last week, the government has increased its crackdown on opposition party members, which they accuse of attempting to undermine Pakistan’s fragile parliamentary democracy. A series of nationwide protests led by many of the country’s lawyers has been demanding the “restoration of democracy and the rule of law.” On Sunday, the government placed Nawaz Sharif, leader of the Pakistan Muslim League-Nawaz, under house arrest and attempted to block protests in Islamabad, the country’s capital. 4. On Tuesday, Madagascar’s the army gave the country’s president, Marc Ravalomanana, a 72-hour ultimatum to resolve the ongoing crisis or resign from office. Madagascar has been suffering from an economic malaise due the collapse of the vanilla market, Madagascar’s main export. While the country has begun to attract foreign investment, Madagascar remains incredibly poor, with a GDP per capita of just $330, and inequality between rich and poor remains very high. Ravalomanana remains defiant. On Saturday, he addressed his supporters to say he would not be resigning.